Statesboro Regional Public is using Smore newsletters to spread the word online. 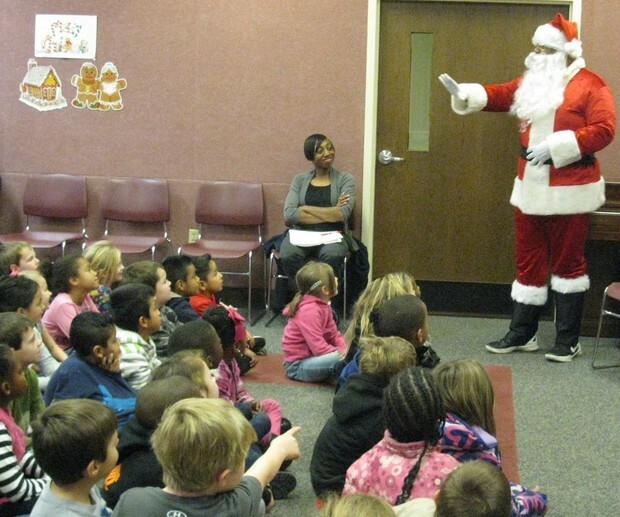 Twas the night before Christmas at Franklin Memorial Library December 8-12. The children were nestled and snuggled in at the library while Windy Ward, Children's Coordinator, and Barb Moore, Assistant Manager, read stories and performed a puppet show for local Head Start, Pre-K and Kindergarten kids, along with Head Start classes from Jenkins and Jefferson counties. Santa also stopped by to visit with the children.